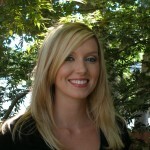 Hi, my name is Kimberlee, I am the Office Manager here at River Oaks Dental. I have been at River Oaks for over 10 years. I am also the lead Financial Counselor here at River Oaks. I have been in the Medical Insurance and Dental Insurance field for over 20 years, and am confident that I can meet your treatment and financial needs. We have a great staff here at our office that is ready to help you attain all of your dental goals. I love helping people achieve that great healthy smile that they are looking for. In my spare time I love being with family and friends, camping, relaxing and I also love reading. Hi!! 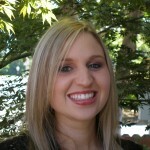 My name is Emileigh, I am a financial counselor and lead scheduler here at River Oaks Dental. You will usually see me after your dental appointment s. I was born and raised in the Yuba-Sutter area and I really enjoy it here. I am the youngest child to an amazing Mother. I have one sister who is married and she has 2 children. In my free time you can find me hanging out with my family and friends. I really enjoy working here and I hope you enjoy coming to see us as well! I look forward to seeing all of you soon! Hi, my name is Chris. You can find me up front as a Financial Counselor. After you have seen the doctor or hygienist you will probably see me at the end of your appointment for all your scheduling needs. I am the person who will follow up with you and to make sure all your treatment and needs were met. I have been in the dental field for 15 years, I am new to River Oaks Dental and enjoy working with Dr. Farr and the staff. When I am not at work I enjoy spending time with family and friends. I look forward to seeing you soon!! Hi, my name is Jodi. I been at River Oaks Dental for 3 years. I have worked in the dental field for 24 years! I graduated from Western Career College (now Carrington College) as a dental assistant. To further my career I took the California state board test to become a Registered Dental Assistant. To keep my license active I attended continuing education courses and try to keep up with all the new trends in dentistry. I love the insurance/billing aspect of dentistry and do my best to get our patients the most out of their dental benefits! Call me if you have any questions, I'm always happy to help you make an informed decision regarding dental companies and the benefits that they offer. I've been married for 21 years and have 2 FUR children. I enjoy reading, traveling, bowling and house boating. I enjoy working with all the great people here at River Oaks! You should come by and meet us! 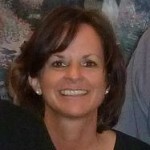 My name is Debbie I have worked for Dr. Pelton for the past eight years, in June of 2015 we merged with Dr. Farr's office. My husband's name is Craig- and I have three children; Brandon, Shasta and Sierra. I have three grandchildren; Greyson, Elianna and Reese. And they ROCK my world! I enjoy antique shopping, quilting, having friends and family over for dinners & get-togethers. My husband and I started a small vineyard and we enjoy growing the grapes, harvesting, processing and enjoying the end product! I am very happy to be a part of Dr. Farr's dental team it is a change for me coming from a small dental team to a much larger one, but there are so many benefits. This practice has the ability to perform top quality dentistry with all of their knowledgeable staff. I feel that the patients coming over from Dr. Pelton's practice will have great care at Dr. Farr's office. Hi, my name is Melinda! I have been an RDA for over 15 years and am now licensed as a RDAEF2. I originally came from the small town, Orland. I have three children- 2 boys and a girl, with another baby boy on the way! My family enjoys the small town atmosphere of Yuba City and the friends we have created here. My favorite thing to do is spend quality time with my children. I look forward to getting to know all of my patients, which is the most enjoyable aspect of my job. I love meeting new people, hearing about their lives, and educating them on all the wonderful aspects of dentistry! Hello, my name is Trinadi! 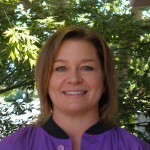 I have been an RDA for over 10 years and I am now an RDAEF2 here at River Oaks Dental. I have had the pleasure of working side by side with some of the best doctors and the greatest staff. I am happily married to my wonderful husband and we have 2 amazing little boys, they are our entire world. I look forward to seeing you when you come to visit us. Remember to keep those beautiful teeth smiling!! Hello, my name is Amanda and I am a Registered Dental Assistant. I have been assisting for over 17 years and I love what I do. My husband and I are proud parents to two wonderful daughters. We enjoy camping, traveling and just about anything that keeps us outdoors! I enjoy working at River Oaks Dental with all of the great patients and staff. I hope to create a warm and comfortable atmosphere for our patients and help them to achieve a healthy and beautiful smile! I look forward to meeting you! My name is Adria, I was born in Colusa, but I grew up in Marysville. I have been married for over 29 years to my high school sweet heart. We have two wonderful sons that we love spending time with. I am an RDAEF and have been assisting for over 30 years (I took 10 years off to be with my boys). Our family loves entertaining friends and watching football. I have been working with River Oaks Dental for over 10 years and have made it my home away from home. We have wonderful patients (the best), and my co-workers are my extended family. I enjoy coming to work because I can be myself. All of us here at River Oaks Dental support each other and together we shine bright. Come check our office out, I guarantee you will feel right at home here! Hello. My name is Ronda Savage and I have been an RDA for over 24 years. I have lived in the Yuba-Sutter area all of my life and love the small town feel that we are so blessed to enjoy here. I have been married for over 28 years and have 4 children. We love traveling, camping and hanging out with friends. We attend church at The Bridge of Yuba City where we have an awesome family of believers that have encouraged us through many rough times. I love my job and all the people I work with here at River Oaks Dental and feel privileged to be a part of such a wonderful team of people that I call my friends. Can't wait to see you and participate in transforming your smile. We love to make people smile. God Bless. Giovanna graduated from Carrington College in 2015 with a certificate in dental assisting. Since her graduation, she has enjoyed learning and expanding her dental knowledge at River Oaks Dental. In her spare time Giovanna likes spending time with her family. They enjoy outdoor activities, such as camping, hiking, and playing spots. Giovanna brings energy and teamwork to River Oaks Dental. 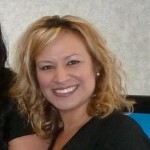 Hello, my name is Gaylene and I am a Registered Dental Assistant here at River Oaks Dental. I graduated from Western Career College Dental Assisting in 1989. I have worked most of my dental career for Dr. Pelton. I was born and raised in Lakeport and moved to Yuba City in 1979. In my spare time I enjoy gardening, boating and spending time with family. I have a wonderful husband and 2 grown children that have blessed me with 2 beautiful granddaughters. I love my position here at River Oaks Dental and I enjoy chatting with all of our patients. Take Care and I will see you at your next appointment! 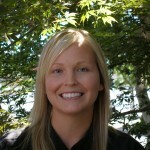 My name is Ashley and I am a Registered Dental Hygienist. I live in Plumas Lake with my husband. We have 2 little boys and 2 dogs. I have worked for River Oaks Dental for over 10 years, first as a dental assistant, and now a hygienist. When you visit our office you too will see the many reasons why I absolutely love working at River Oaks Dental! Hi! My name is Chelsea, I'm a Registered Dental Hygienist. I have a wonderful husband, a beautiful daughter and a handsome little boy! We enjoy doing anything that involves being outdoors. I have a fabulous support system from my family and friends. I enjoy making people smile, because that's when I know I have done my job right. I can't wait to meet you so we can work together on providing you with a beautiful smile! Hello, my name is Jessica and I'm a Registered Dental Hygienist. Before I joined the team here at River Oaks Dental in June of 2015, I worked for Dr. Pelton for the past 10 yrs. 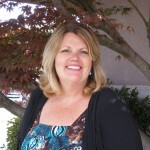 I live in the Yuba-Sutter area with my husband, my son and my two lab dogs. I enjoy spending time with my family, I love anything that involves being outdoors either it be fishing with my husband, hiking or taking my son to the park. As being a hygienist I have had the ability to grow and learn new things, and hope to continue the same here at River Oaks Dental. With that I have had great pleasure in providing our patients with the knowledge and tools in order to maintain a healthy smile. I really enjoy what I do and I hope to meet you soon. Hello! 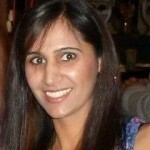 My name is Sandeep and I am honored to be a part of the team at River Oaks Dental. I joined this wonderful practice in 2006. I have two beautiful children and another one on the way, with my amazing husband. I absolutely love outdoor activities, especially the ocean. That's a little bit about me... can't wait to meet you and put a sparkle in your smile! My name is Shannon, I am the hygiene assistant here at River Oaks Dental. I have been in the dental field for over 14 years. I have three beautiful daughters and I enjoy spending time with my family. We have a great staff here at River Oaks Dental & look forward to meeting you soon.